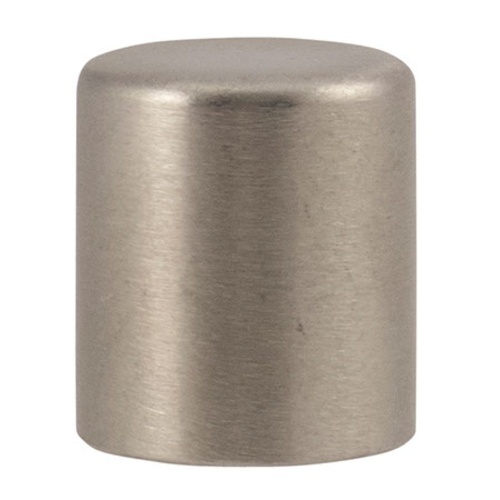 Stainless Racking Cane Tip - 3/8 in. 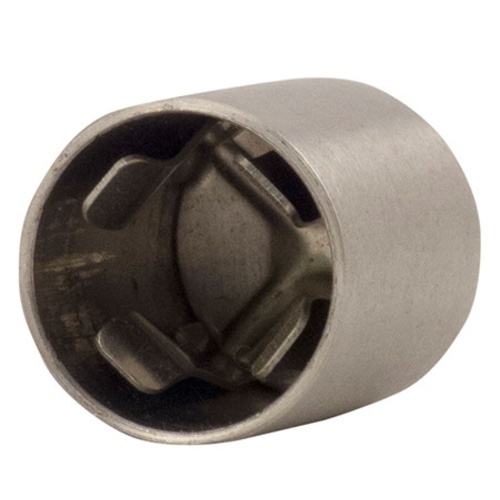 Stainless steel anti-sediment tip for 3/8 inch racking canes. Replaces plastic caps. This is a replacement for my red plastic cap that came with my stainless racking cane. The plastic wore down and the cap would drop off into the carboy. Major bummer. This cap is a solid match. Easy to use and holds onto the racking cane like a champ. If you value having as much stainless as possible in your brewery and you are still using racking canes, this is a nice little upgrade. Stainless is easy to clean, easy to sanitize, and you only have to buy it once. Works great. Attaches nicely to my stainless steel racking cane. I was really excited for this, as it seems like a no brainer to have a stainless steel tip for a stainless steel racking cane. First problem, the tabs just barely grip the correctly matched racking cane or sterile siphon, so one light tap and it's swimming in the carboy. Second problem, it has near zero clearance, as in there's less than a 1/8" gap between the tube and the cap. Most plastic ones have somewhere between 3/8" and 1/2". I've had siphons stall out due to flow resistance, even before a little sediment which will definitely clog this immediately. I'd return it, but it's not worth my time or the return postage.